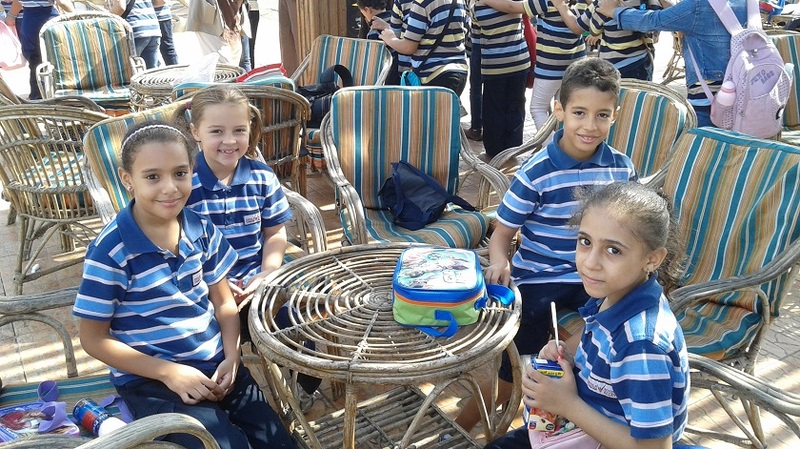 Egyptian schools are known for large class sizes and a not-so-great student-teacher ratio. But our third-grade daughter, in one class at least, has a private lesson. Despite being in a class of 31 students, Emma studies religion one-on-one with the teacher. The Egyptian system separates Muslims and Christians for religious education, and Emma is the only one of the latter. Christians make up about 10 percent of the population, so it is not unusual to be outnumbered. Still, Emma’s case is a bit odd. When she started in the Egyptian school system in kindergarten, Emma was one of the seven Christian students in her class of 30. If this percentage seems large, consider that the school placed all Christians in the same class. The entire kindergarten consisted of around 150 students. Placing all Christians together makes scheduling classes much easier. Traditionally, the less numerous Christian students leave the classroom for the religion subject, and a specialized Muslim teacher comes to instruct in Islam. The specialized Christian teacher often has to jostle for a classroom, but at least all students come to her at once. As Emma moved on to first grade a few kids transferred to other schools, leaving only five Christians in her class. By second grade, there were three Christians, and now in third grade, she is alone. Her singleness resulted from an administrative error, of sorts. This year the school introduced ‘smart boards’ in all class subjects for those parents willing to pay slightly higher tuition. The technology was not so important to us, but since kindergarten Emma’s class had been kept together, and most parents were opting for the smart boards. But for some reason, in the two smart board classes that emerged, Emma was separated from the two other Christian students. We did not discover this until a bit into the new school year, and rearranging would have been difficult. But as a result she has religion by herself. Fortunately, Emma’s best Muslim friends are in her class, and she was happy to stay. Fortunately also, she has had the same Christian teacher since kindergarten. 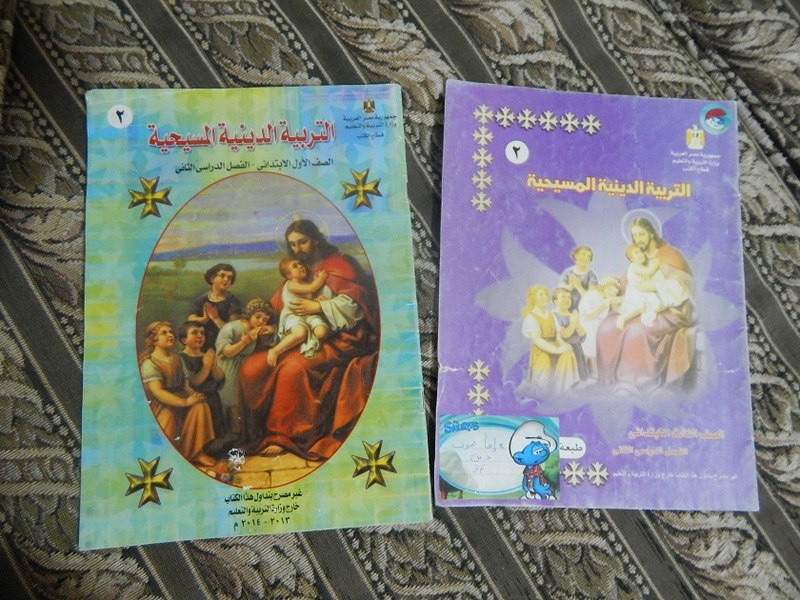 The standard curriculum consists of Bible stories familiar to Sunday school students the world over, in addition to Coptic prayers and the lives of the saints. Egyptian education has been criticized for focusing too much on memorization, but in this case Emma puts us to shame. Last year she memorized the I Corinthians 13 passage about love. This semester she is working on Psalm 23. In Arabic, of course. The government curriculum for Christianity is based on the Orthodox tradition, since that represents the vast majority of Christians in Egypt. Emma’s teacher, however, is Catholic. And thus, the lone Christian in class is our Protestant American daughter, being taught Coptic Orthodoxy, by an Egyptian Catholic. Egypt is a place of many oddities, but we hope through it all that Emma will love God, love others, and hide God’s Word in her heart. So far we are encouraged.